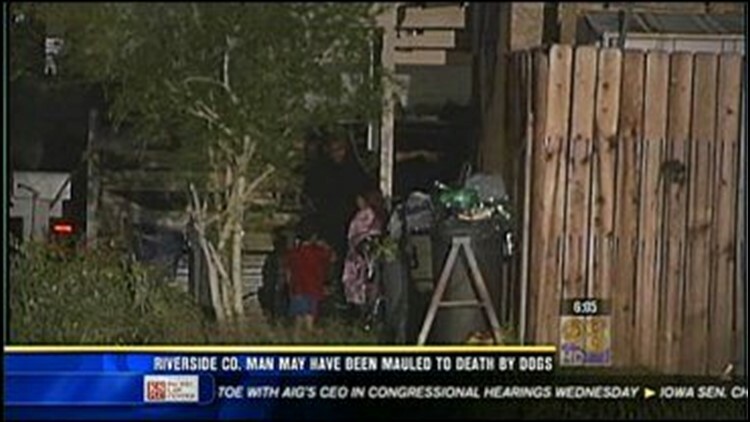 Deputies in Riverside County are investigating whether a man was mauled to death by his own dogs. Neighbors found the man in the backyard of his Rancho Mirage home Monday night. They found him covered in blood. Two full-grown bull mastiffs were also in the backyard. When sheriff's deputies arrived on the scene, the man had died. An autopsy on the man's body is scheduled for late Tuesday.